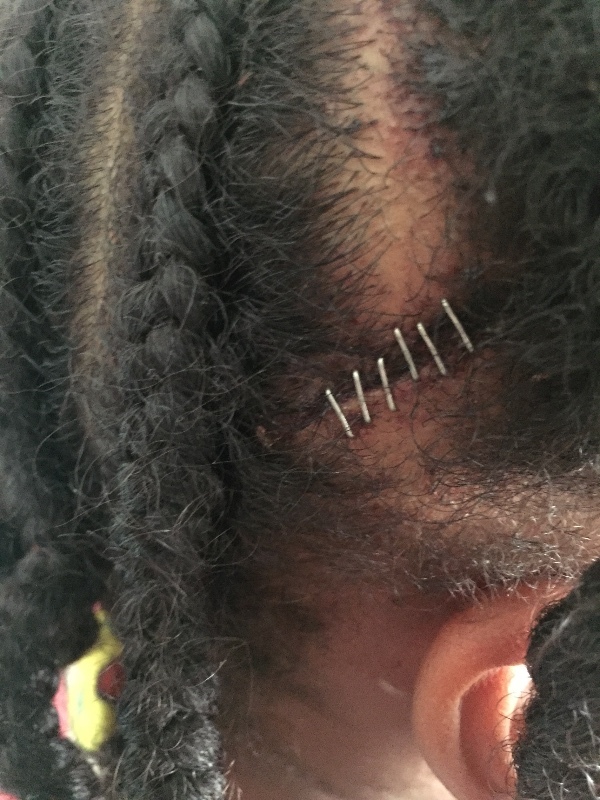 Briana Caviness has 55 stitches on her face, and nine more in her head. All the seven year old was doing was visiting and playing with her toys in her grandmother's front yard. "It was like everything slowed down," said Phyllis Roary. "It was like a dream. It was unreal." Roary said Briana and her other grand children were outside when someone at her neighbor's house opened the neighbor's front door and their pit bull ran outside, and went into Roary's yard. Briana saw the dog too late. "And when she looked up and she said nice doggy you come to play - that’s when he grabbed her by the face and swung her" Roary said. She said someone tried to kick the dog off Briana. The other kids ran and jumped on top off a jeep. Their screams brought neighbors and relatives out. Roary said her son, Briana's father, ran to his daughter. "When I got out to the front door I saw my son throw the dog and the dog jumped up from there. My granddaughter was running to me. She said grand mommy he tore my face, he tore my face." But as the wounded and bloody little girl ran to her grandmother, the pit bull came after her again. "He grabbed her in the back of her thigh.That's when I just laid on top of her because he was jinking her," Roary said. "And I started punching him and my son ran up and he grabbed the back of his leg and he just started beating him against the ground." Briana's father killed the pit bull. 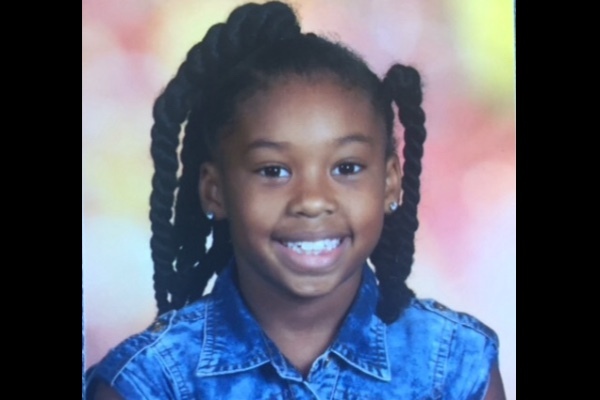 Her mother, who was not at the house at the time, got the call. She said she arrived at Barncliff Road before emergency workers. 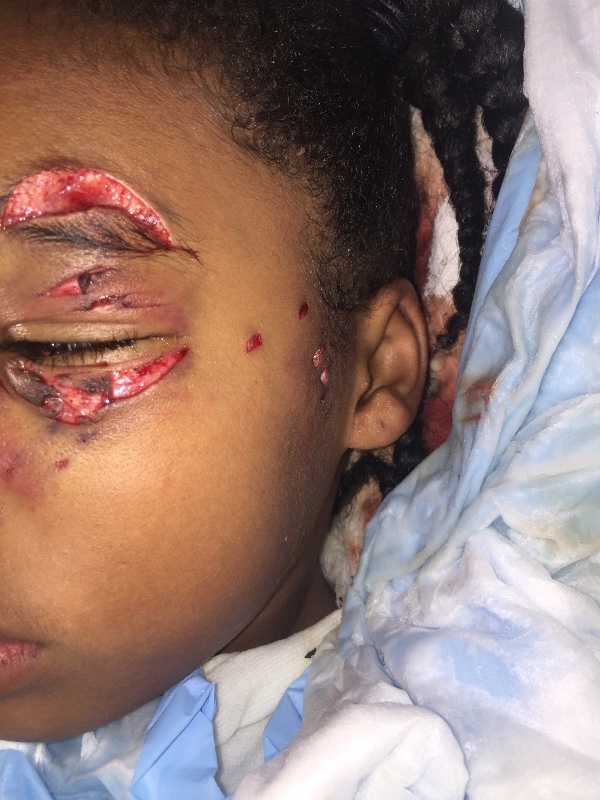 "She was lying on the floor covered in blood with bandages on her face" Monica Caviness said. 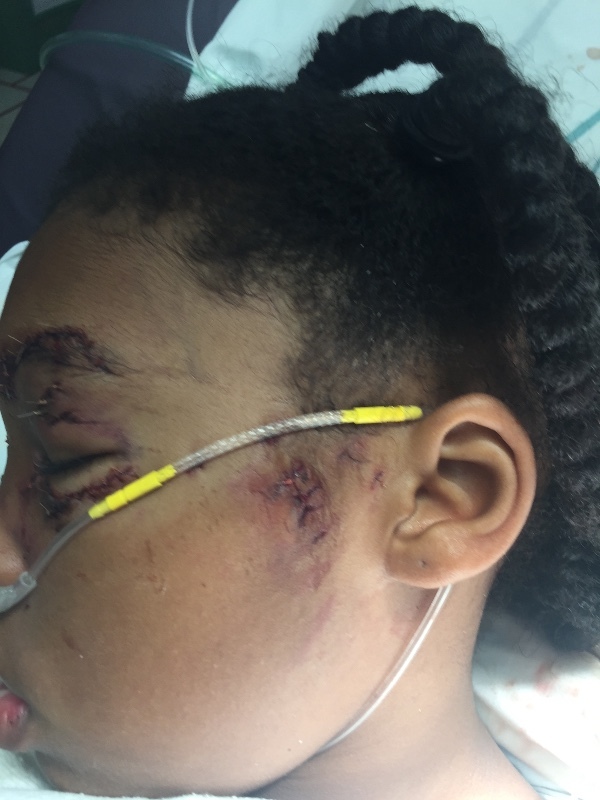 Briana is home and recovering, facing plastic surgery. CMPD Animal Care and Control told WBTV that the pit bull named Rocco had a history. A spokesperson said "The dog Rocco had been involved in two previous bites in the past 12 months, resulting in citations and fines for those incidents. Due to the previous incidents the dog had been placed on confinement measures, which was breached during the recent incident on October 30, 2016." Police said the pit bull's body was sent for rabies testing. For Sunday's attack, the dog's owner was cited "for leash law 2, violation of containment order, unprovoked bite." Briana's mother said she believes the case deserves a stiffer penalty. "Justice – I’m out of work. She’s missing school and he’s just going on his everyday life" she said. "She is the third victim and all you get is a citation." Caviness said she believes the owner should have had his dog put down after the first two attacks. Meanwhile, relatives are watching to see if the attack and the wounds change Briana. "You couldn’t keep this girl out the mirror," her mother said. "She is such a people person. She is the most loving little girl." Six days later, and with plastic surgery looming, they say she's not quite the same. "We just uncovered the mirrors but she still don’t really look in them. We had to cover the mirrors. She doesn’t want to see her reflection." The family has set up a GoFundme account to help pay for medical expenses. 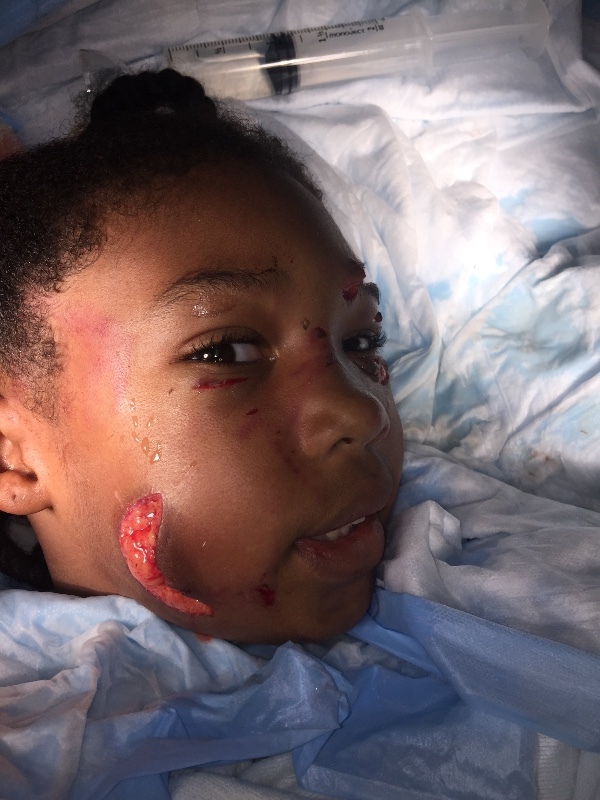 This girl's daddy should get one of those hero awards that people get when they save someone from a pit attack. He did a real public service by killing that dog. He saved other possible victims, as well as the expense of a doggy trial, appeals, behavior tests, retraining, more behavior tests, having the dog sent back to its worthless owner to have the whole thing happen over again in the future. He cut through a whole lot of BS and did what should have been done the first time his neighbor's choice of a pet attacked.